I know I promised you guys a blog post on Saturday but I got REEEEAL busy so I’ll make up for it my lovelies!!! With the end of the month near, I decided to do a little bit of shopping and picked up some.. Expensive purchases! I went to a flash place so the stuff I got was extortionately priced! I’m really happy with the things I got! They’re what I’ve been wanting for a while so I’m glad I got them!! 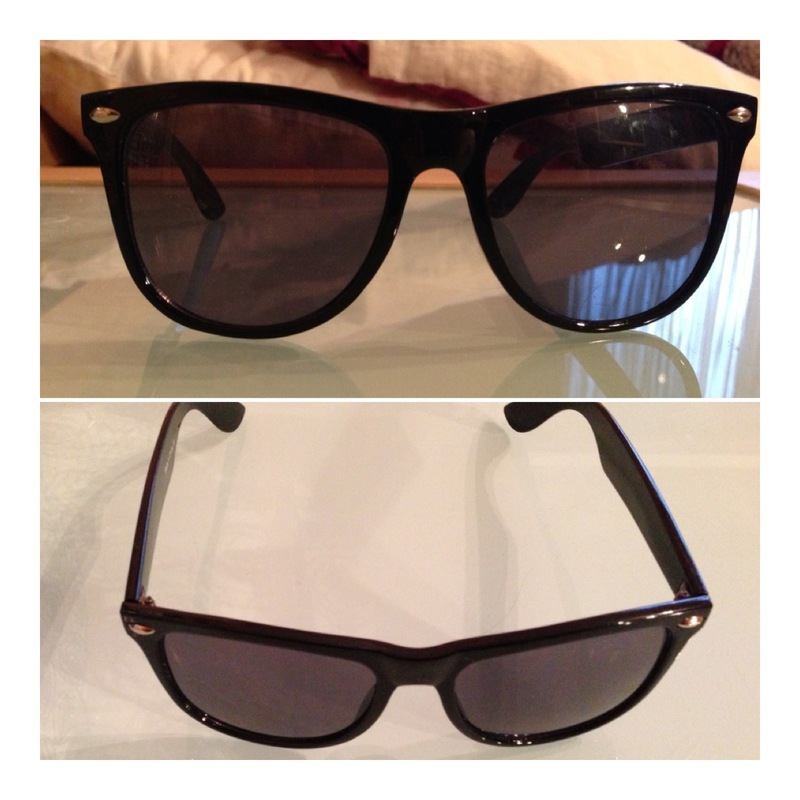 The first thing I had on my agenda was.. RAY BAN’s! 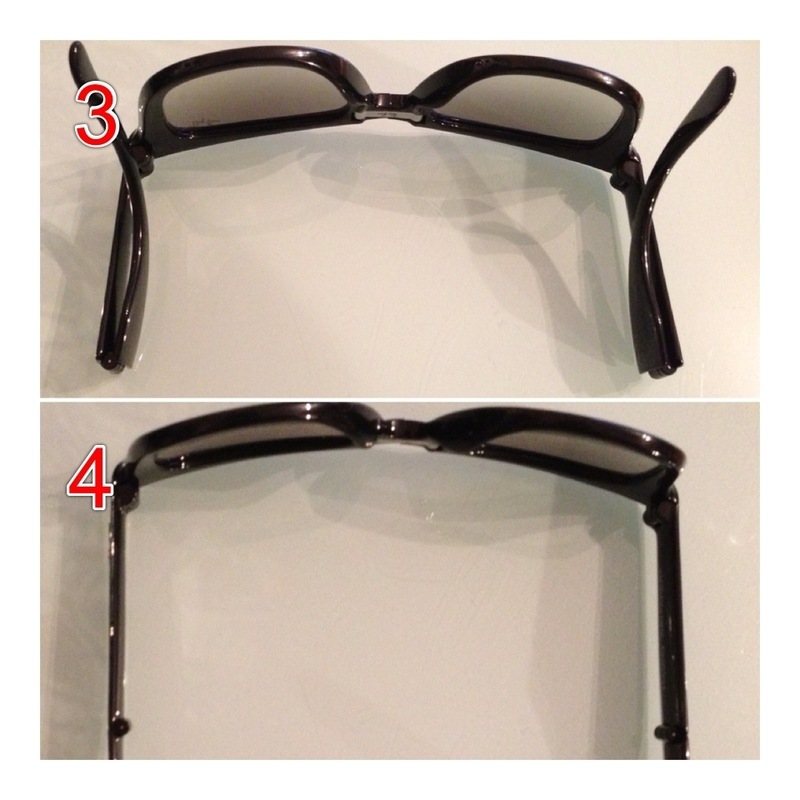 Now I’m not a fan of paying anything over £10 for a pair of shades but the cheap ones I get break do easily! With sunglasses I’ve learnt, paying more helps! I went to Westfield in Shepherds Bush and they have a small stall for Sunglasses Hut where we were served by a really helpful guy! He was mega helpful with all the sunglasses that I liked and what looked good! 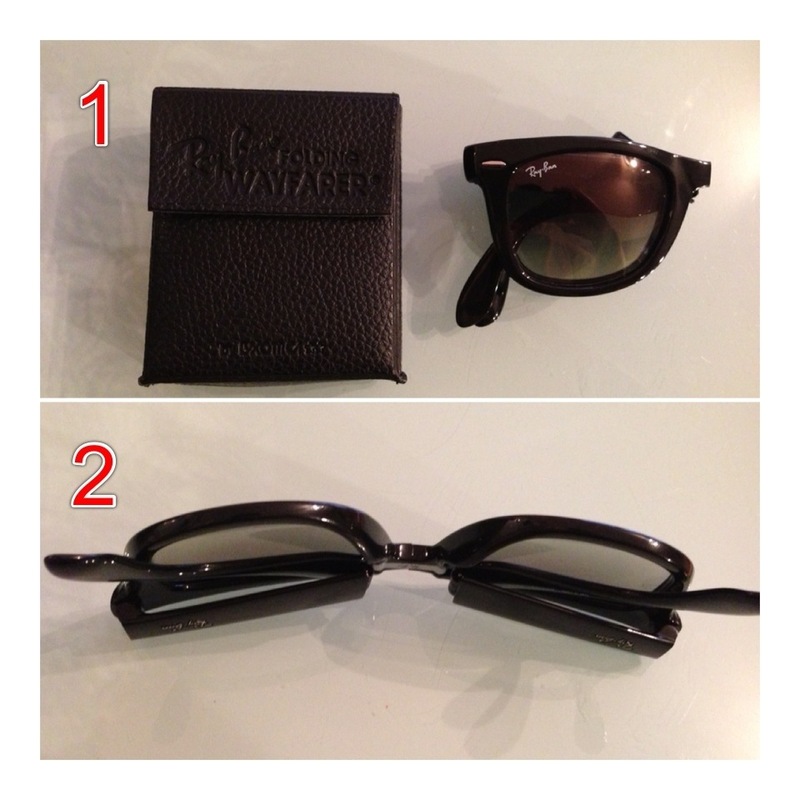 I’d wanted the Wayfarers for a while do decided to get the folding ones cause they’re so cool! If you’re looking for an inexpensive pair, Urban Outfitters have a sale on their sunglasses and I got this pair similar to the Ray Bans for £10! We then popped into boots and I forgot how many brands Boots actually have! The Boots stores in my area are small! I picked up the Smashbox Tinted Moisturiser because I loved the coverage amount! My skin has been really good (Alhumdolilah), even though I’ve treated it really bad! I haven’t been putting on face cream or taking off my make up properly! I know.. I’m a fool! But this stuff looks amazing! I got the colour light cause it was a PERFECT match! It looked like my skin! I then bumped into the Yves Saint Laurent stand and just knew.. 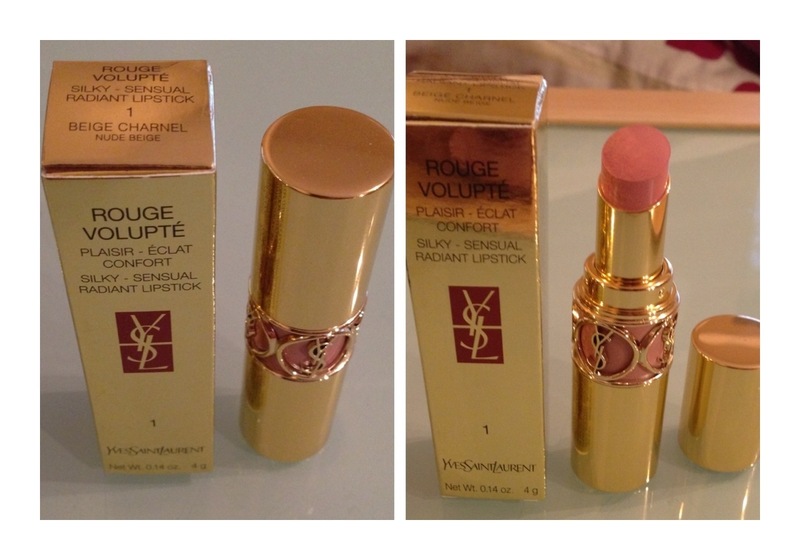 I needed a Rouge Volupte lipstick! I’m not the biggest fan of lipsticks but I had tried these a few times, tested them and put them back because of the price! This lipstick is AMAZING! The pigmentation is INCREDIBLE and it’s so moisturising! The only thing I would say is because its so creamy, it gets stuck in the cracks in your lips so ensure you exfoliate your lips before hand! Next purchase was a whim! I saw a jewellery stand, loved the rings and got one! They’re we’re moderately priced because they had a 20% off sale but I think she should have been cheaper. I loved this trio set! 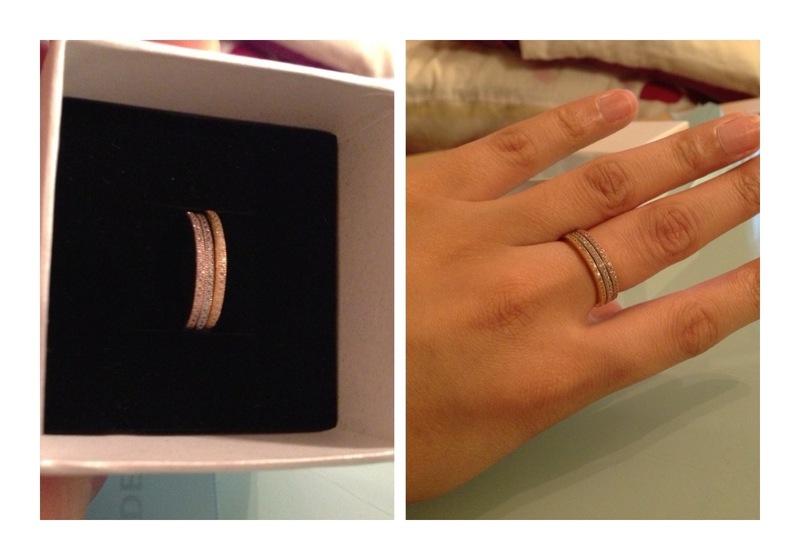 It has 3 bands.. 1 gold, 1 rose gold and 1 silver which I think look beautiful together! The colours are fantastic and the gems in the band go all the way round! They look FANTASTIC! I can’t wait to do a manicure with them! Then I saw a chocolate stand! Omg.. She had macarons! I HAD to grab them! They looked amazing and I loved the colours so I grabbed a box of 6! 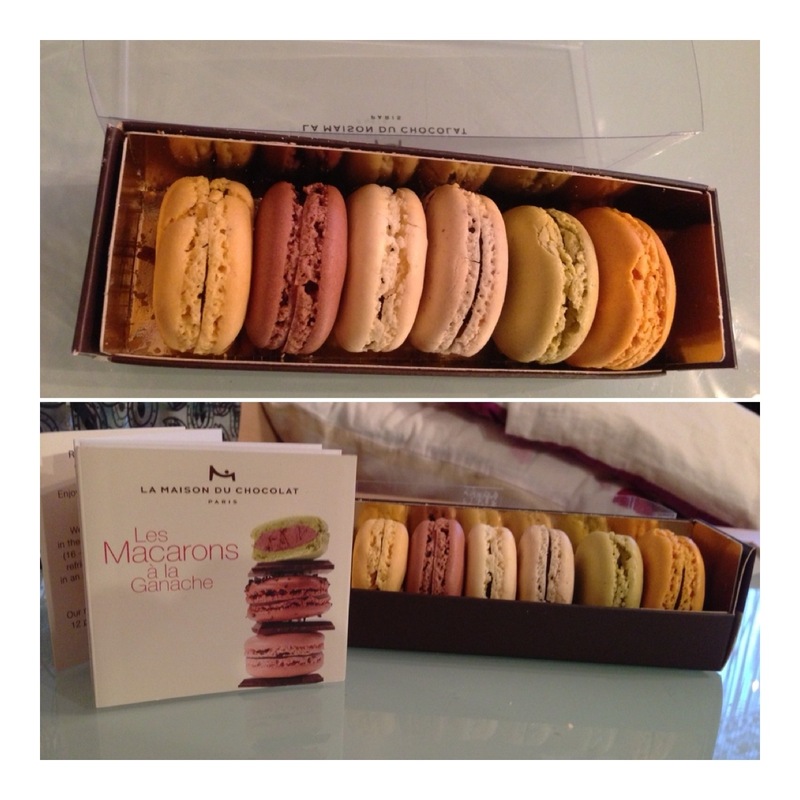 I know they’re expensive but I loved one of the caramel truffles she handed over so I hope the macarons match! I then went to Kurt Geiger and saw so many shoes that I fell in love with! I decided to go against a BEAUTIFUL pair of shiny peep tie eels which had gorgeous studding! 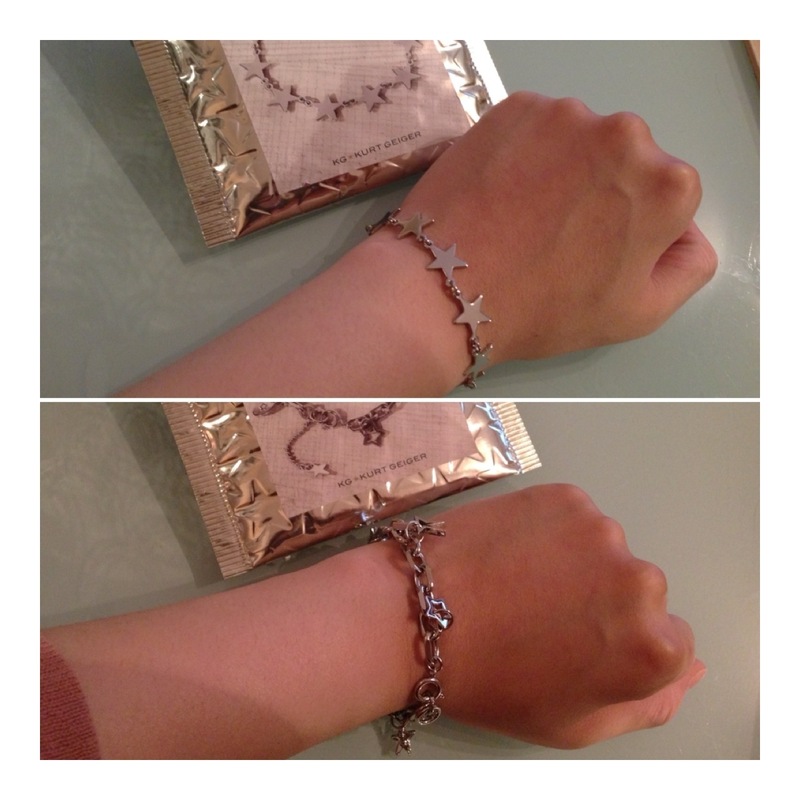 I then saw these star bracelets and thought they looked amazing and they looked like a really good size! I often buy jewellery if it looks as though it will fit my abnormally small wrists and fingers!